There are meetups that focus on learning or networking opportunities and then there’s Code for Nashville, a group that seeks to make a difference. Code for Nashville leverages technology to improve access to government services and is changing lives in big and small ways. Code for Nashville is the local brigade of Code for America, which seeks to bring local and state governments into the digital age by facilitating volunteer efforts. Nick Lorenson currently organizes the group. After moving to Nashville, Nick spent some time shopping around for a meetup group that felt like a good fit. Code for Nashville was geared towards making a positive difference in the community and Nick was hooked. The group currently meets on the first Tuesday of every month for an Open Hack Night. These nights are very relaxed. Everyone gets together to work on various projects (personal, volunteer, or administrative details for the group). To increase their impact, they have started to focus on specific projects at each open hack night. Attendees can participate in a variety of ways; including write code, design, provide analysis, or through any other skill they bring to the table. Outside of the monthly open hack night, Code for Nashville facilitates conversations among many local groups. 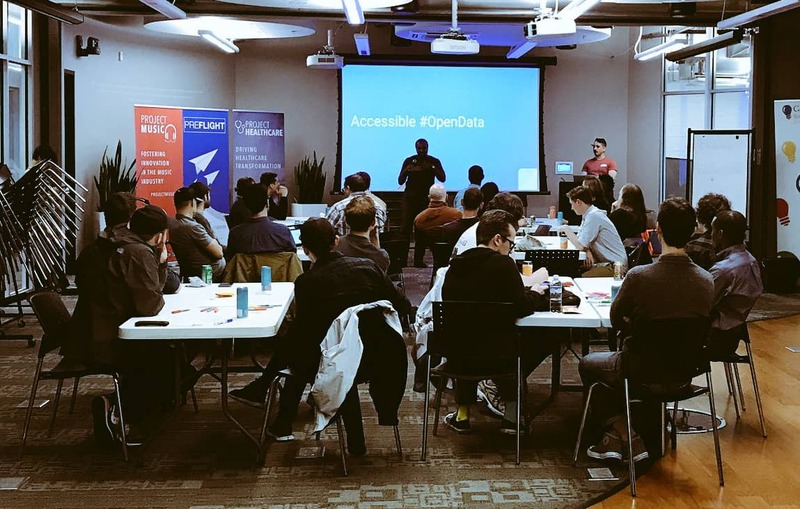 In April, they partnered with Music City Legal Hackers for a hackathon that brought legal and technology together to increase access to justice. Code for Nashville also held a joint conversation with the UX meetup to discuss how Nashville’s open data could be used to solve problems. In May they hosted a panel discussion with the Online News Association and the Society of Professional Journalists about what happens when the government hides its data. How does Code for Nashville come up with great programming? They have a couple parameters for deciding which projects to work on and topics to discuss. 1. Does it serve our goal to impact the community of Nashville? 2. Is the topic or project interesting and relevant? Code for Nashville is more than just a meetup to learn and network; it’s a meetup where you can make a difference in this community that we all love so much. Want To Get More Involved With Code For Nashville? “We’re always looking for volunteers. If you like writing software, designing, data analysis, event planning, writing a newsletter, social media, publicity, or networking, then I could probably put you to work. Hit me up,” shares Nick.